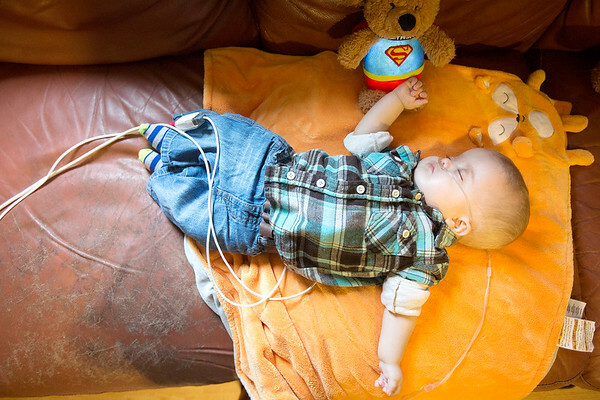 Seven-month-old Jaxon Gary sleeps on the couch at his home in Interlochen. At two months old, Jaxon was diagnosed with peroxisome biogenesis disorder. He falls under Zellweger Syndrome, which means he has the most severe disorder on the Zellweger spectrum.